• Timber is the only renewable material for pallets. Species used are plantation-grown softwoods not rainforest hardwoods. The grade used in pallets is often unsuitable for other purposes and might otherwise be waste. • Sawn timber production has a low environmental impact, consumes little energy and provides employment in rural areas. • Pallets nails are made from 100% recycled steel. • Timber pallets are 100% recyclable with minimal environmental impact. Pallets at the end of their life can be converted to wood chips that have many uses. 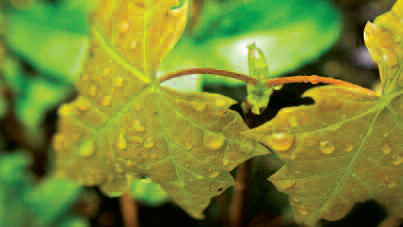 Those currently available include Wood-based panel products, Energy Recovery, Animal Bedding and Horticultural Mulch. • Timber pallets are repairable. Properly designed timber pallets and packaging can be used and re-used many times. Their life can be extended because, unlike many competitive products, they can be cheaply and effectively repaired with minimal fuel consumption and harm to the environment. The carbon storage in the timber means its life is maximised through repair and recycling and can be used as a renewable energy source at the end of its useful life. • Using a cascade model for forest products, pallets and packaging playing a critical role as a market for small log production and falling boards from larger logs. Pallets and packaging take an estimated 25% of all sawn timber production. Timber is used for 90% of pallets. It has become commonplace for companies producing pallets from alternative materials to make environmental claims about their products that have little scientific basis. How often do we see advertising making claims about a product being "environmentally friendly" or "green"; or that it can be recycled, leading the consumer to believe that the product concerned is automatically better for the environment than a product which cannot be recycled. Technically, most products or materials can be recycled but that is missing the point. Firstly, if there is no market for the material, then there is little point in collecting it for that purpose, when other forms of disposal are available. Secondly, the recycling processes themselves have to be taken into consideration. Collection, separation, cleaning and reprocessing all has an impact on the environment, particularly in terms of consumption of energy and fossil fuels. In some cases, recycling can be positively detrimental to the environment. Consequently alternative materials are used principally for niche markets.